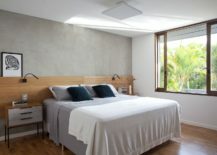 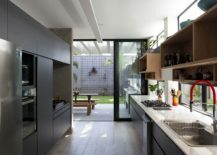 As is the case with most aged homes, poorly planned additions and a weary structure tend to create an interior that is neither practical nor aesthetic. 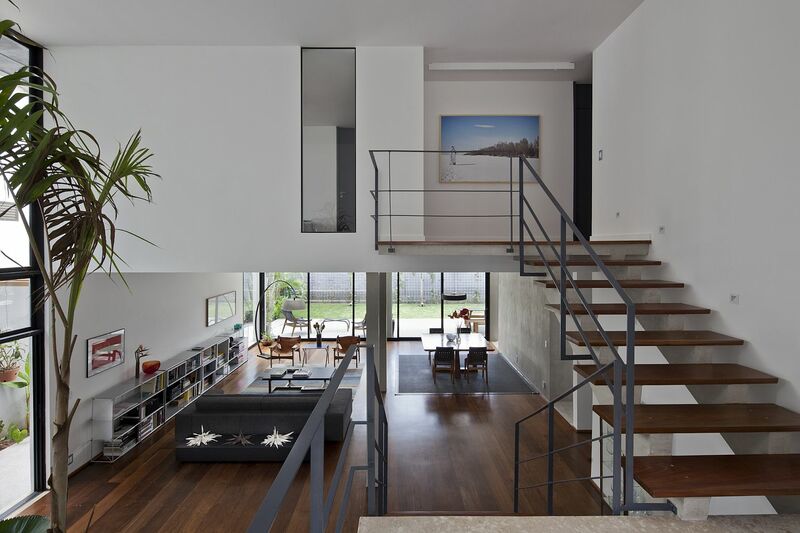 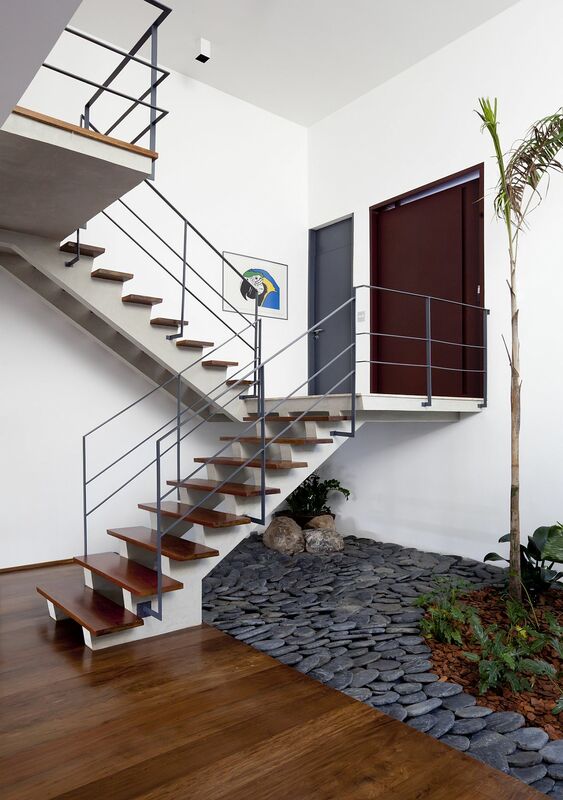 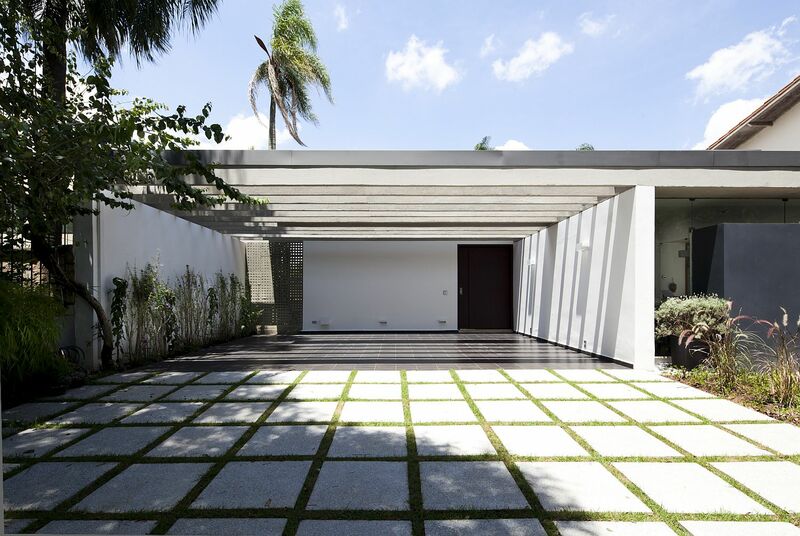 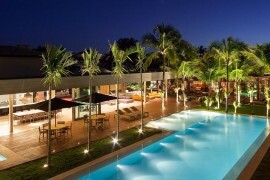 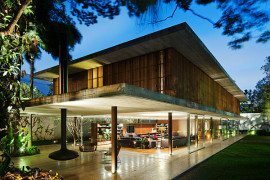 The Sunset House in Sao Paulo is no different as it was originally built in 1970’s with an interior that is far too compartmentalized and constraining. 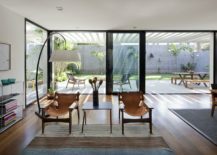 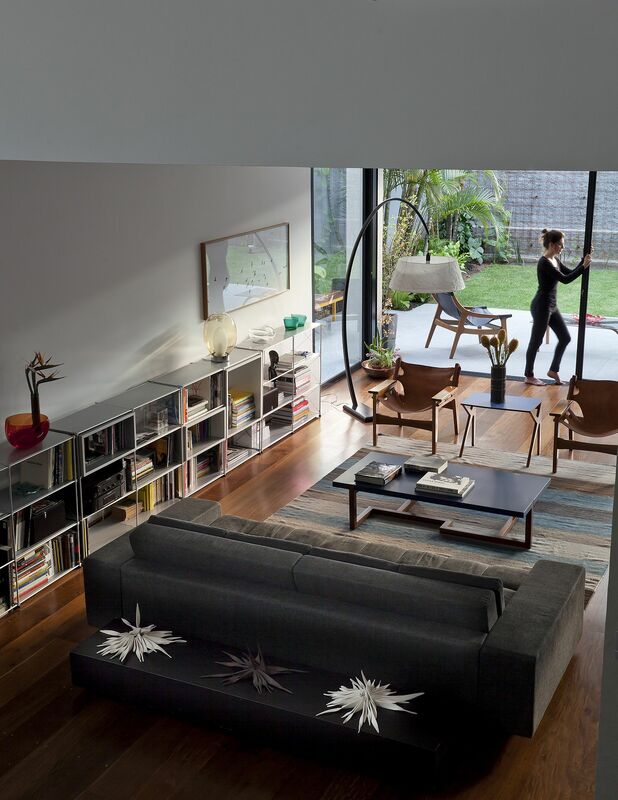 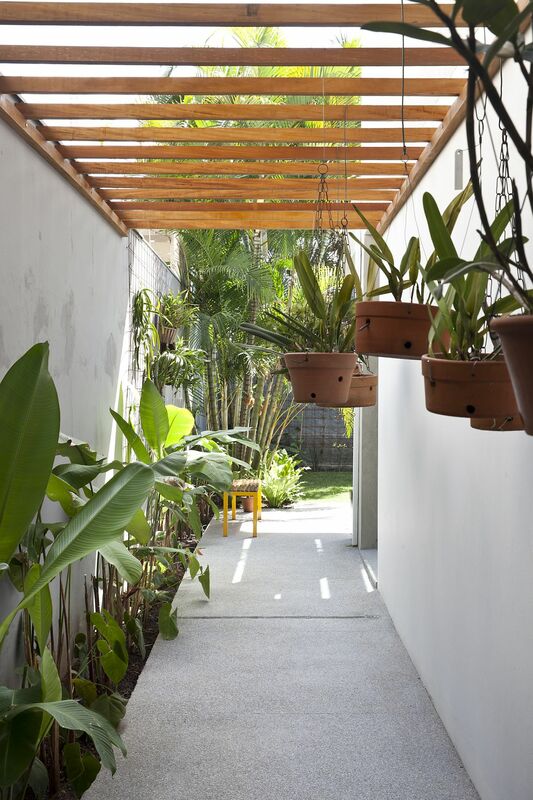 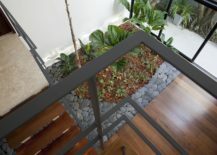 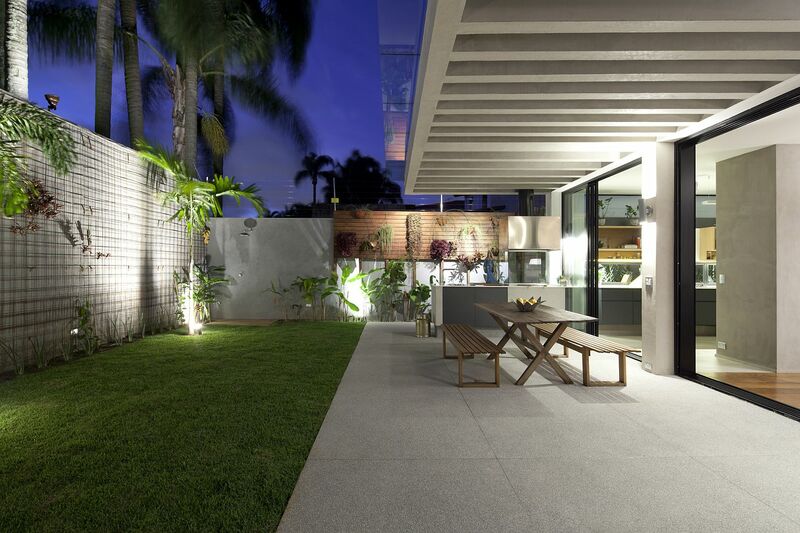 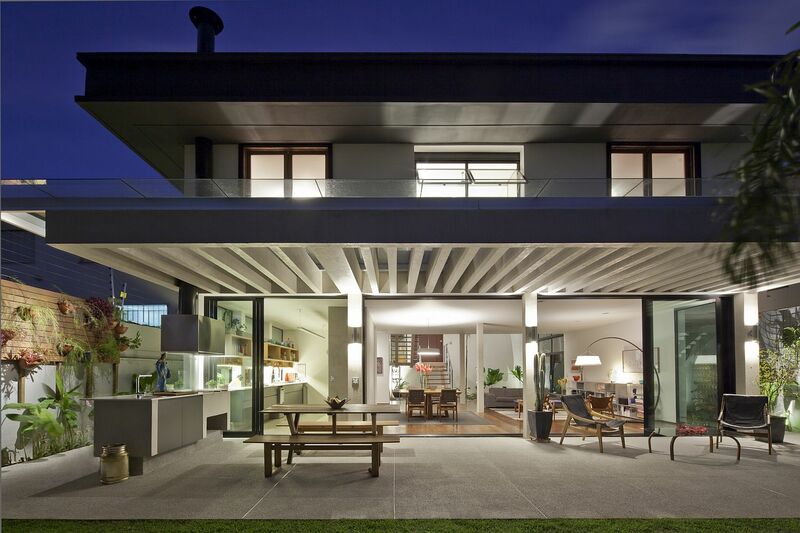 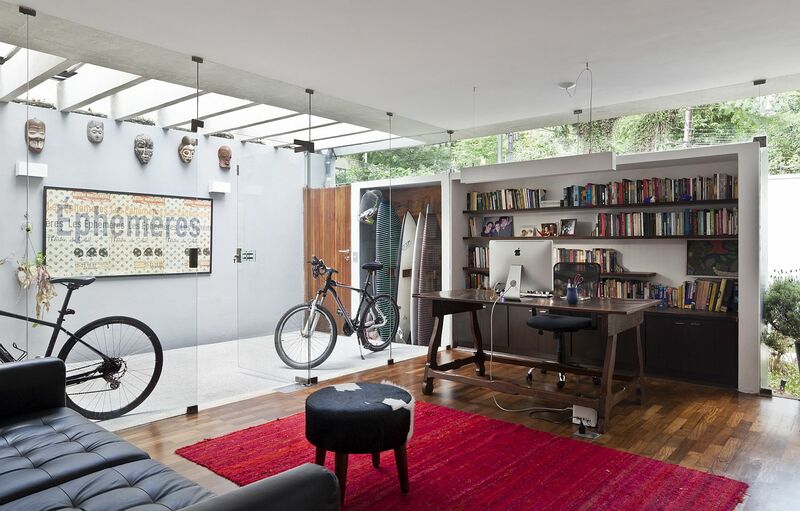 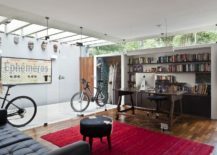 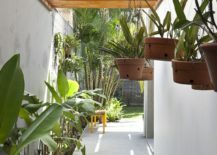 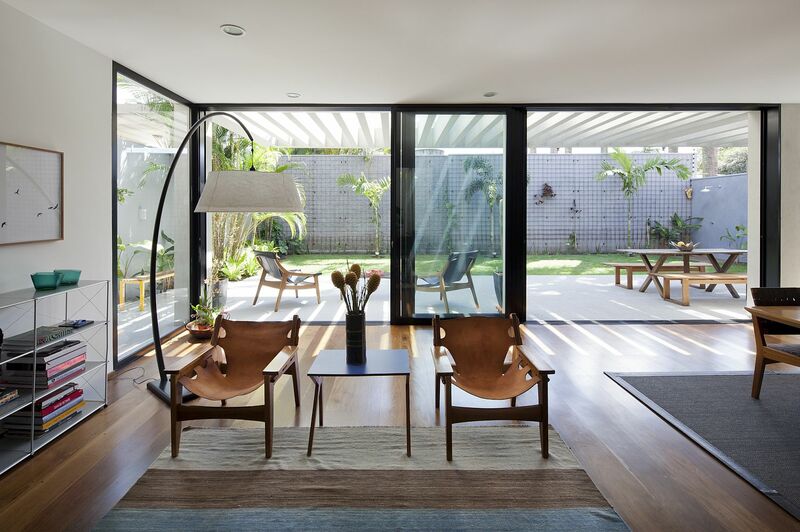 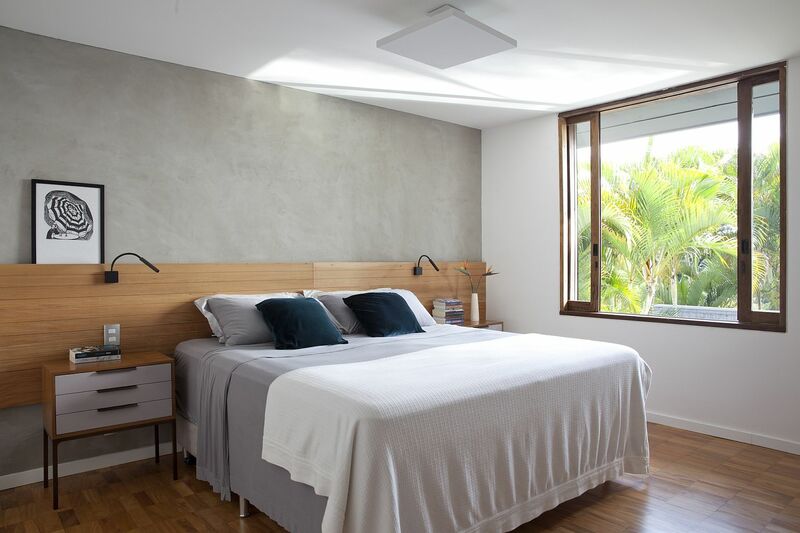 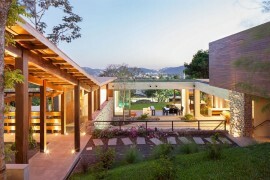 Giving this dreary home a cheerful, modern upgrade Casa14 Arquitetura turned to an open plan living and an altered backyard to get the job done. 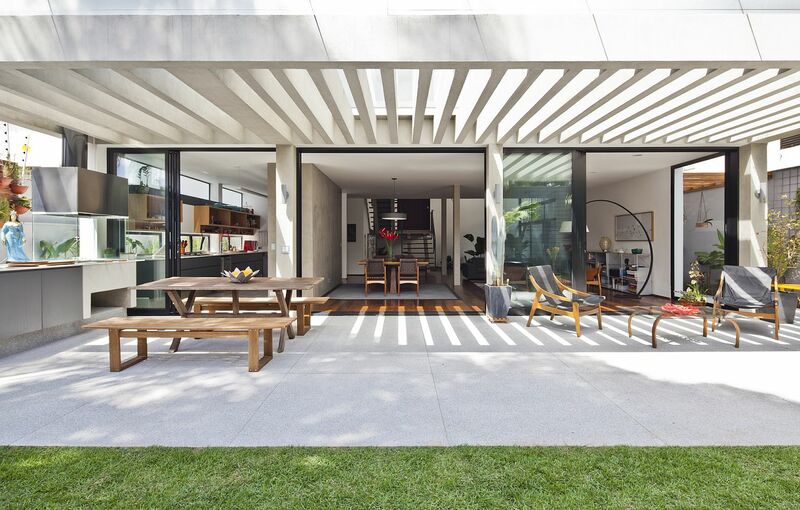 Refreshing, relaxing and pleasing to the core, the new living area flows into the rear yard that contains an outdoor dining space and a relaxing sitting zone. 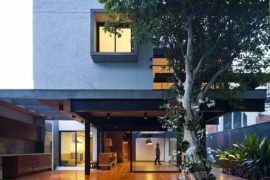 The old backyard building that occupied much the space in the rear was done away with in favor of an open and inviting garden. 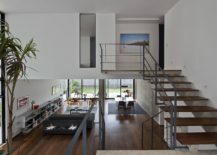 The kitchen on one side of the home and the living area on the other have direct access to the outdoor sitting area and deck even as a simple and elegant staircase leads to the top level. 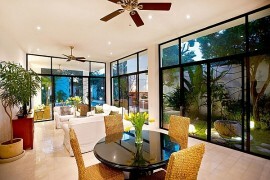 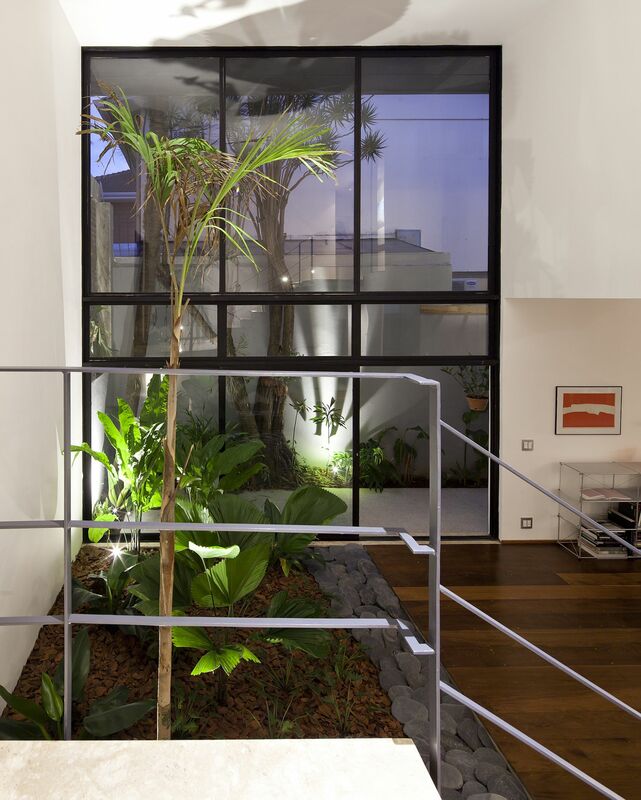 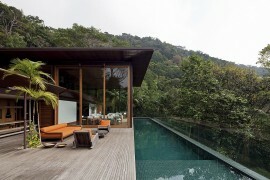 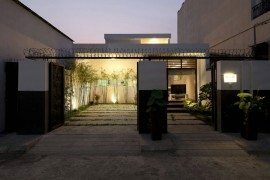 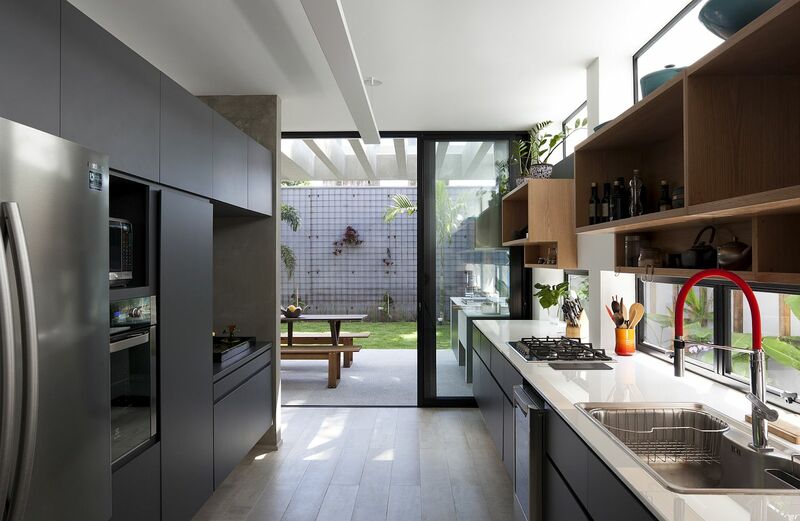 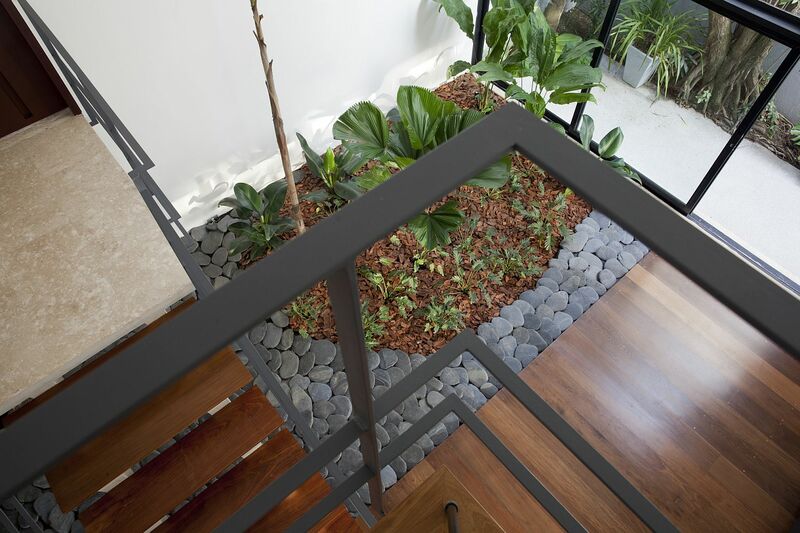 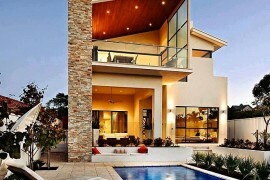 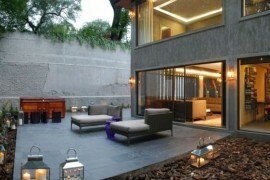 Large glass doors with a black frame connect the interior with the outdoors and the indoor garden steals the show with its simplicity and energizing charm. 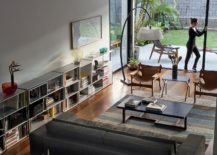 Contemporary décor and space-savvy shelving add to the ergonomics of both the living area and the home office while the private spaces sit snugly on the top floor.